Right click on the any datastore of the required technology on which you wish to run the query and select Data. Click on the SQL (?) on the Top Left and type in your query inside the query box and get results in the result box as you can see in the above screen . Have fun and enjoy and look odiexperts for more tips and tricks. 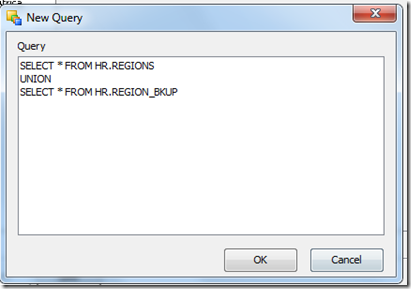 Is there anyway to load the data from different heterogeneous tables to target table by using a query. like we call FREE HAND SQL in SAP BO. ( previously I am an SAP BO ). I need such property in ODI. Could you please post here. 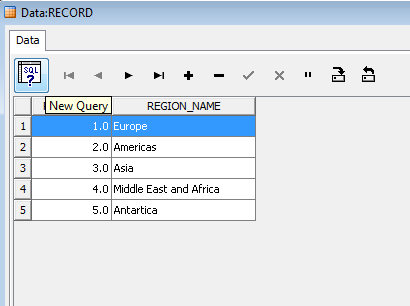 I have managed to load the data to target from different tables of same DB, by using procedures in ODI. but now I want to load from different DB’s like SQL server and Oracle to one target table by using Query. I am very new to this software, Please enlighten me in , how to get the work repository details in ODI Console. I have developed some interfaces in ODI studio, later I have opened console, there I am unable to view the details of the work repository which I have created in ODI Studio. Is there any procedure to get those details in the console.